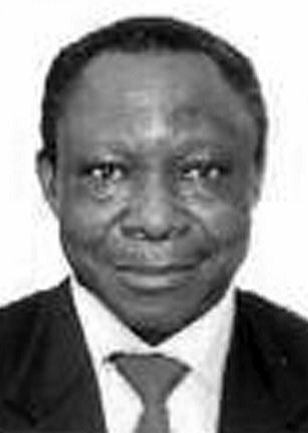 Obi (DVM, PhD (Ibadan), MVM (Glasgow) retired Professor of veterinary medicine, Univ. 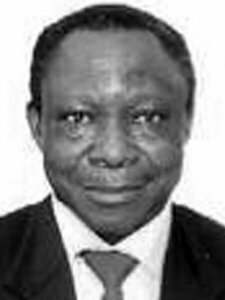 of Ibadan Nigeria, currently Professor of Veterinary Medicine, Michael Okpara University of Agriculture, Umudike Nigeria Expert in epidemiology,immuno-diagnosis and control of major Transboundary Animal Diseases. Served as consultant epidemiologist for various intl. organizations in Africa and Iraq. Was Reg. Coord.- Advisor, USAID–funded STOPAI West Africa. A Fellow, Nigerian Acad. of Sciences, College of Veterinary Surgeons of Nigeria, African Acad. of Sciences decorated with a Medal for Outstanding Biomedical Research, Nigeria; Nigerian Presidential honour as Member of the Federal Republic, 2008; and a plaque for contributions towards global eradication of rinderpest.